26 Feb How much does it cost to travel Europe? Our three-month costs revealed! How much does it cost to travel Europe? It’s true that the continent definitely isn’t the cheapest in the world, but here’s the good news: it can be done on a modest budget. We spent three-months road tripping around Europe in late 2017, heading from Amsterdam to Portugal, through Slovenia and Germany to Prague. Here’s how much our Europe trip cost, including a breakdown of transport, food, activity and accommodation prices. If you’re looking for the cheapest way to travel Europe, we’d definitely recommend housesitting. 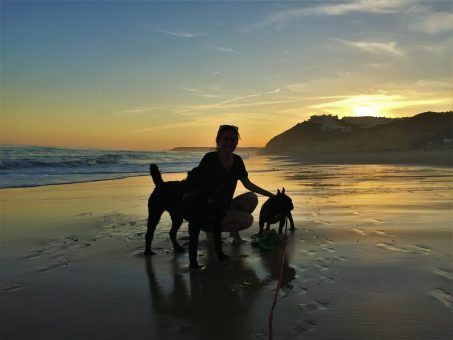 We use Trusted Housesitters to find our placements and have had amazing sits in London, Spain and Portugal (you can find out more about how to find great house sits in this post). 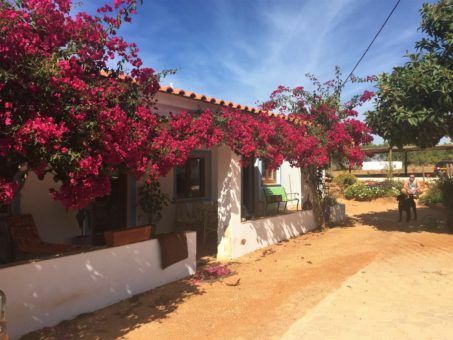 For this trip, we found a nine-night housesit in the Algarve looking after dogs and pigs. We stayed in a beautiful converted barn house in the countryside and fell in love with the animals, the sit also saved us a couple of hundred pounds in accommodation. 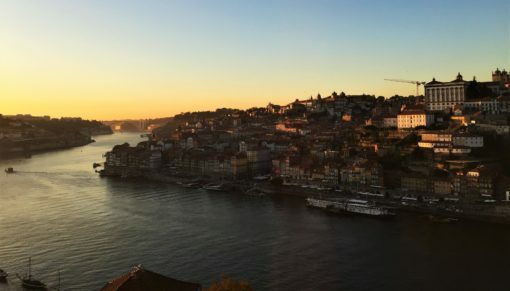 Aside from housesitting, we found Europe accommodation was cheapest on Airbnb (if you haven’t yet signed up, here’s £25 off your first booking). We used Airbnb throughout our trip, as cheap hotels in Europe are hard to find, although we did start to wonder about the ethics of using the website, especially when renting apartments. Mostly we rented spare rooms in people’s homes, but when we were staying in Porto and Prague, we rented whole apartments. We generally stayed a little out from the central areas since we had a car and could easily get around most of the time. Less-central rooms tend to cost less. We had quite a mixed bag when it came to our Europe accommodation costs. We averaged out at £22 per night, with our cheapest stay in Coimbra, Portugal, which cost just £16.47. Our most expensive night was in Halblech, Germany, where we visited the fairytale-like Neuschwanstein Castle and paid £47.52 per night for a whole apartment. Since we mostly stayed in apartments, we were able to keep our food costs pretty low by shopping at supermarkets and cooking our food at home. On travel days we didn’t eat all that healthily, we mostly ate snacks en route and then bread and hummus when we arrived somewhere for the night. Just before the trip, we transitioned to a vegan diet, which we feared might be a problem, but we actually managed to find plenty of options in the supermarkets (Prague was especially good). 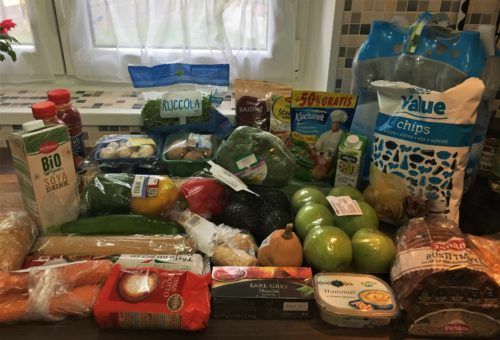 Here’s a typical grocery haul from Tesco in Prague, which cost £20. We did eat out a few times on our Europe trip, especially when our families visited us in Prague or we hung out with friends in Porto, also in the few Airbnb stops where we didn’t have a kitchen. As always, we check Tripadvisor to find a decent vegan places to eat out. 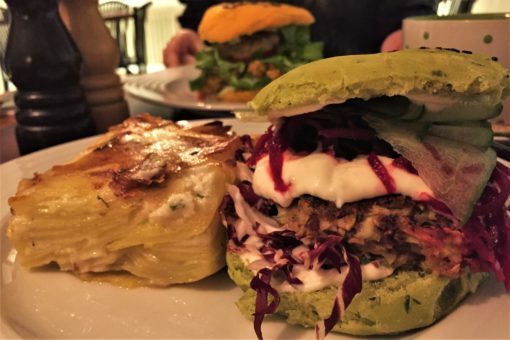 Here’s a vegan burger from one of our favourite discoveries, Vegan’s Prague, which cost £25 for two meals. Here are some example meal prices: at Lehka Hlava, Prague, we had their daily menu (starter and main), the cold starter selection and two teas for £17.63. In Namaste Restaurant, Ljubljana, we had a selection of Indian dishes and drinks for £18.38 and in That’s Toast, Bruges, we spent £16.87 on a few slices of toast topped with avocados and other veg along with some drinks. We found food cheapest in Prague, most expensive in Germany and Belgium. 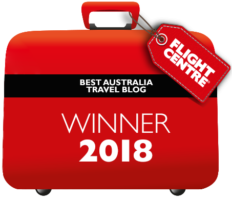 We deliberated quite a bit about the best way to travel Europe, should we fly and hire a car, should we use public transport, or should we buy a car and take it with us? Eventually we decided that the best way for us to travel around Europe was in our own car. We bought our car in the UK at the beginning of the summer for £900 (if you’re interested, it’s a 2002 Nissan Almera 1.5L petrol engine) and we used it to get around the UK before we left for mainland Europe. Our insurance policy allowed 90 days of use outside of the UK, so that really determined the length of our trip. 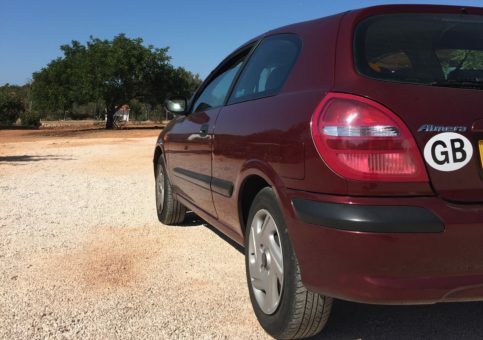 If you want to rent a car in Europe, to give you an idea of costs, we paid just £50 for a four-week rental in Spain back in January 2016 and £25 for a three-day rental in Split, Croatia. Things like insurance, vehicle tax and fuel will really depend on the car, the way you drive and your car insurance history. Fuel costs varied quite a bit from country to country, Spain was the cheapest at just over £1 per litre, while the Netherlands was the most expensive at closer to £1.30 per litre. We avoided tolls as much as possible, this probably saved us quite a bit of money but cost us more time. Some journeys were twice as long because of this. In Austria, Slovenia and the Czech Republic we had to buy weekly or monthly vignettes so that we could drive on the motorways. Parking wasn’t too expensive and we made good use of Parkopedia to find the cheapest car parks. We also used a fair bit of public transport when we were staying in big cities. 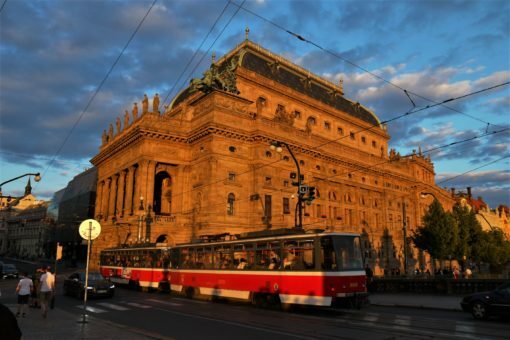 Prague was the cheapest where we got a month’s ticket to use the metro, trams and buses for about £23.50 per person. Amsterdam was the most expensive since we stayed about 20 mins out of the city in Weesp and had to pay about £7 for a day return per person. When our families visited us in Prague and there were four of us, we used Uber quite a bit, which was pretty inexpensive and much more convenient than walking, taking the bus, tram or metro. Mostly all our sightseeing was free, including hiking and wandering around cities. We took ‘free’ walking tours, where you pay a tip rather than a fixed fee, in Amsterdam, Slovenia and Prague, which we paid between €5-7 each for. 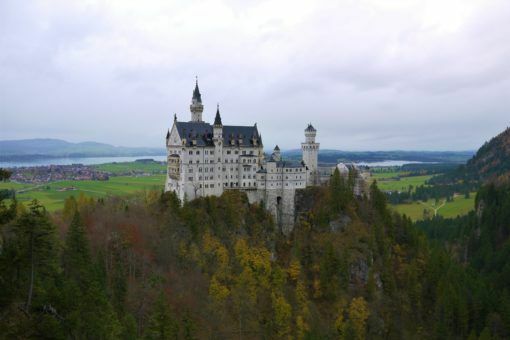 Our most expensive activities were Neuschwanstein Castle in Germany (definitely worth the cost) and watching a production of A Midsummer Night’s Dream at the Czech National Theatre. *Note that the Lisbon Tourist Card listed below was generously comped to us by Get Your Guide. The only miscellaneous Europe travel costs we had were for some new clothes, as we bought a couple of jumpers and some jeans while we were in Porto. So, can you travel Europe on a budget? The answer’s yes, depending on what you define as budget. 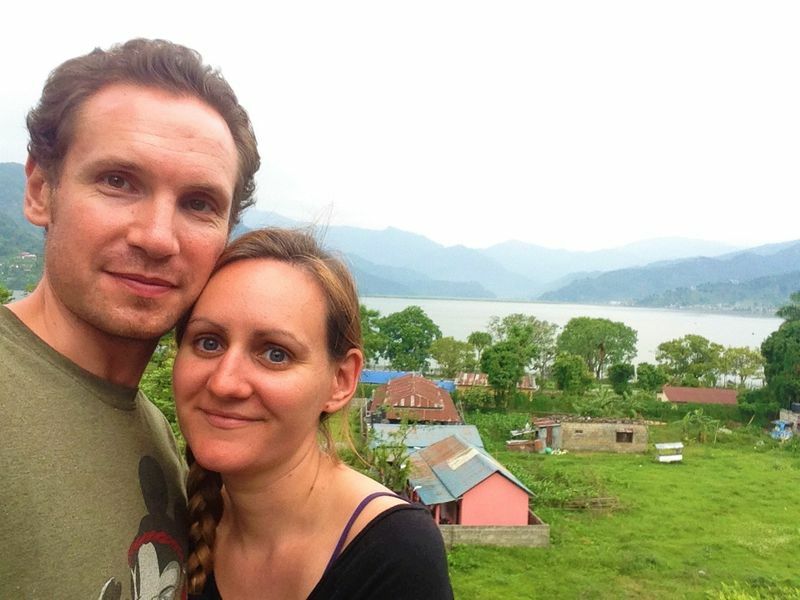 We managed to travel around Europe for under £50 per day for two people, which is only £15-20 more than we spent per day in Asia, for instance. We were pleased with all the amazing places we saw and had some incredible experiences, especially at the excellent Christmas markets. How do you think we did? Did we travel around Europe on a budget you could use? 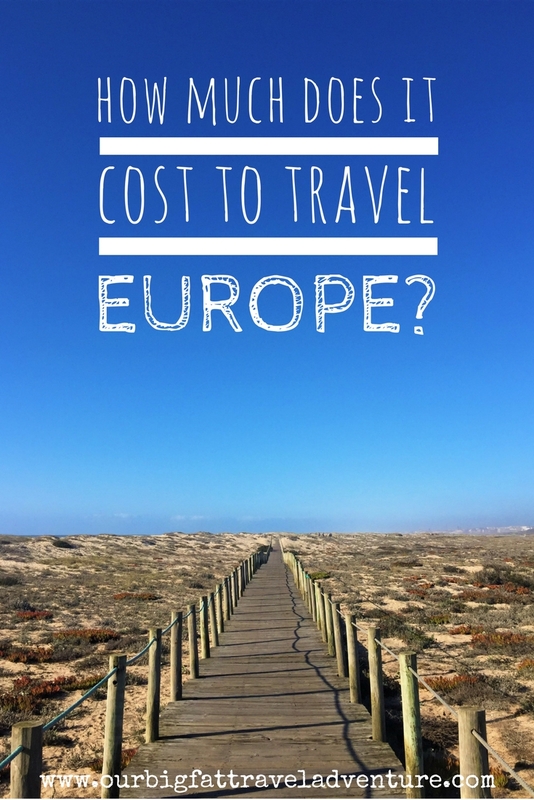 Let us know what you think of the cost to travel Europe in the comments below. Wow…I am impressed with how well you have done. Having the car was a good idea since it has given you more freedom and flexibility. Brian and I like the idea of touring Europe in a motor home. Your food costs were very good indeed, cooking your own meals is best. I love eating out, but it can be expensive. I loved your itinerary and visiting these places during the Autumn has probably also further helped to stay in budget? Great post ? Did you look into buying a left hand drive car for Europe? We have a three month trip in France, Spain and Portugal planned and are thinking of buying a car in France. Not sure how easy it will be to insure though? Hi Dan, good question, but no we didn’t even think about it. Since we’re from the UK and Amy’s dad works as a mechanic, he had some good connections and made sure our car was reliable too. It would be interesting to know how the car buying process goes for you in France though. Also I’ve driven a right hand drive car in mainland Europe before so I knew that wouldn’t be a problem for me. Enjoy your trip! Just to update, it proved impossible to buy a car in France as a non-resident so we bought one off eBay in the UK and drove over instead. So far so good, it looks like we are retracing some of your haunts, going towards Porto from Lisbon on Thursday! Hi Dan, thanks for the update, glad you managed to sort the car issue. Have fun in Portugal, we loved it and are looking forward to returning again in the autumn! this is amazing! Thank you for sharing this with us. appreciate you disclosing this kind of information to us. did you bring bills on your trip or just used a card? i read in one article that you should bring less cash on trips to Europe? Hi, we just used our overseas bank card, which doesn’t charge a fee for withdrawals abroad. Can you please share list of cities you covered in 3 months? Hi, we went to Amsterdam, drove down to Portugal, went to Lisbon, Porto and the Algarve. Then we drove up to Slovenia to Ljubljana, made a stop at Neuschwanstein castle in Germany and then stayed in Prague for a month. On the way back we stopped in Cologne and Bruges. Great Post and Stunning Pictures. Your tips were very useful for Europe traveler. Europe is an awesome place for roaming. I love Europe. I read your blog and really happy with your information on Europe traveling. Thanks for such post and please keep it up.